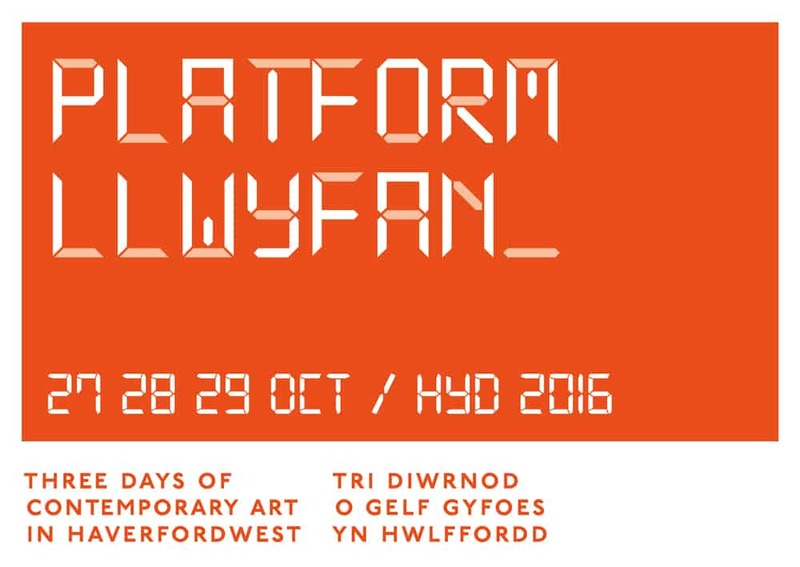 Over 3 days, PLATFORM presented Haverfordwest as a stage for a programme of new commissions and existing artworks by artists living in and around Pembrokeshire. The programme reflected the diversity and depth of contemporary arts practice in the region, and included artists’ film, installation and performance that together created a body of work that was in turn exciting, thought- provoking and inspiring. Conceived within the context of The Lab, Haverfordwest’s arts and regeneration programme and produced by Pip Lewis Co Director of spacetocreate and Kate Wood Arts Development Officer from Pembrokeshire County Council, the works were presented at sites across the town, punctuating the urban landscape and opening up a dialogue between the artists, the viewer and the physical realities of place. You have found some fab venues – excellent help at hand and information given at all sitesLoved this – so good to see something like this here – felt transported to other worlds. Great to have something like this locally – enjoyed it thoroughly! Such a treat to have this event on my doorstep – thank you! Would like to see more like this in an accessible location in Haverfordwest for all to walk in and see …Shire Hall? It is brilliant – more please! Be great to have an opening slot for people who work full time and on for longer – 3 days is too short! Platform from curious ostrich on Vimeo. Find out more about each of the participating artists and their work for PLATFORM by following the links below.